Until September 30, 2017, bring your family or friends along and savor an irresistible MESA’s Family Set Meal for 4. 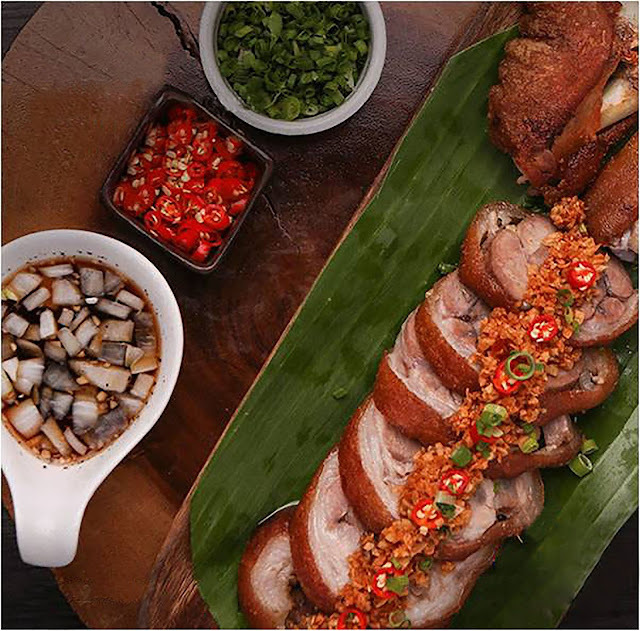 For only P1,750.00, this delectable meal set consists of a meaty whole, boneless pata; flavorful sinigang na hipon; decadent baked scallops; spicy 2-way laing; filling adobo flakes rice; freshly steamed okra with tamarind bagoong dipping sauce; plus homegrown favorite mangga salad and melt-in-your-mouth mango panna cotta with four refreshing glasses of iced tea. This offer is open to Citi credit and debit cardholders and is available from Mondays to Saturdays in all MESA branches: SM Mall of Asia, SM Megamall, SM Aura, SM North EDSA, SM Clark, SM Southmall, SM Fairview, SM Dasmarinas, SM Lipa, SM Bacoor, SM Ilo-ilo, SM Bacolod, SM Davao Ecoland, SM Davao Lanang, SM Gensan, SM City Cebu, SM San Pablo, Solenad 3, Powerplant Mall, Greenbelt 5, Evia, Eastwood Mall, Robinsons Magnolia, Tomas Morato, Sky Ranch Tagaytay, Boracay Regency, and Centrio Mall. So learn why MESA Filipino Moderne has been recognized as “Best Filipino Restaurant” by Manila’s Best Kept Secret Awards and “Philippines’ Best Restaurant” by Tatler Dining for five consecutive years, and dine using your Citi card today!